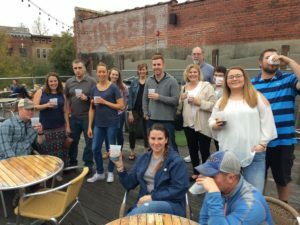 Vicinity Tours, along with Omaha Brewing Company, presents the only beer tour in Columbus Georgia. The walking tour will allow you to taste five different original brews by Omaha Brewing Company. We’ll visit only locally-owned establishments. Hear how each beer was inspired and the distinct way they were crafted. Between each spot you will venture through the history of Columbus. The fascinating stories behind the attractions and landmarks. This tour has the beer enthusiasts in mind. Allow up two hours for the tour. The tour can accompany a minimum of 10 guests. Price: $40/person this includes all the brews and an appetizer. Call 762-822-6251 or email VicinityTours@gmail.com for scheduling. All tour times are 3:30pm-5:30pm Eastern.